안녕하세요. 여름의 초입에 들어선 6월, 다시 이노진으로 인사드리게 되었습니다. 지난 달에는 많은 일들이 있었습니다. 이노비가 한국에서는 처음으로 완도 지역의 다문화 가족들을 위한 이노비 아웃리치 공연을 마쳤습니다. 고국땅에서도 이노비가 행복을 퍼뜨릴 수 있도록 여러분들의 많은 성원 부탁드립니다. 5 월 17일 목요일 오후 두 시, 국제 널싱홈 주간을 맞이해 이노비는 뉴저지에 있는 은혜가든 양로원에 방문하여 그 곳에 계신 어르신들을 위한 음악회를 열었습니다. 실력 있는 음악가들이 한국 가곡, 오페라 아리아 등 아름다운 클래식 음악을 선사했고, 마지막에는 다 함께 고향의 봄, 우리의 소원은 통일을 부르며 하나가 되었습니다. 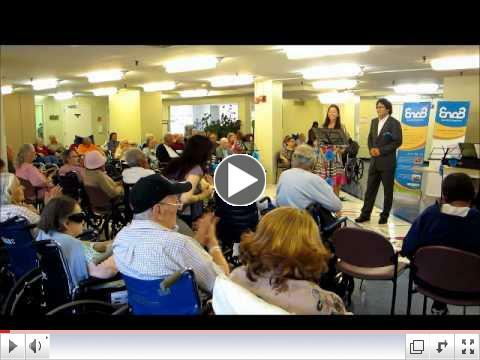 In celebration of National Nursing Home Week, EnoB held a concert for older adults at Mercy Gardens Nursing Home in New Jersey on Thursday, May 17th. 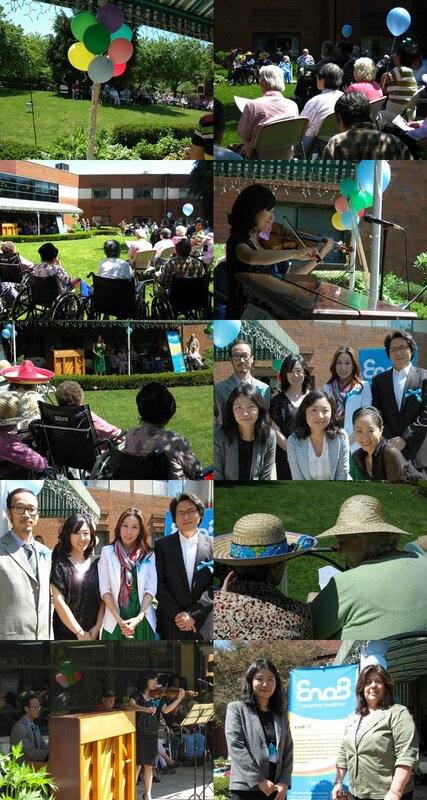 Great musicians played beautiful music including opera arias, musical soundtracks, and traditional Korean songs. 아래 이미지를 클릭해서 동영상으로 만나보세요! Click the below image to watch the video! 5 월 19일 토요일, 이노비는 뉴저지 밀알 선교단과 뉴저지 초대 교회가 주최하는 '장애인 큰잔치'에 초청되어 100여 명의 장애 아동들과 자원 봉사자들을 위해 공연을 펼쳤습니다. 뉴저지 초대 교회 본당에서 열린 이번 무대는 아이들의 뜨거운 박수와 열기, 환호 속에 막을 내렸습니다. 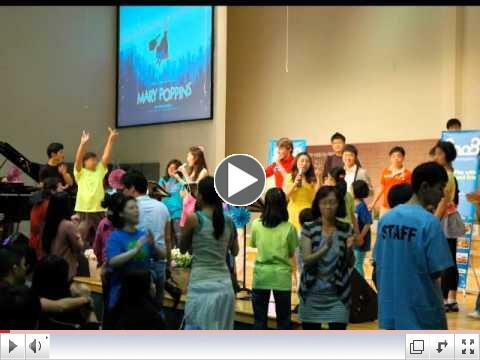 EnoB joined the annual Agape Festival of NJ Milal Mission and Chodae Community Church and was the opening act. About one hundred children with special needs and volunteers clapped and danced along to songs from popular musicals. EnoB performed newly rearranged version of songs from the musical The Lion King, Tarzan and more, to the delight of all the attendees. 5월 24일 목요일 오후 두시 반에는 맨하탄에 있는 드윗 널싱 홈에서 이노비의 찾아가는 음악회가 열렸습니다. 평소에 이런 음악회를 접하기 힘든 몸이 불편한 어르신들은 아름다운 클래식 음악을 들으며 위로와 치유의 시간을 가졌습니다. 공연이 이루어질 수 있도록 후원해주신 Dashing Diva/KMC EXIM CORP, Eun-Ju Ryu, KyungHo Park 님께 감사드립니다. 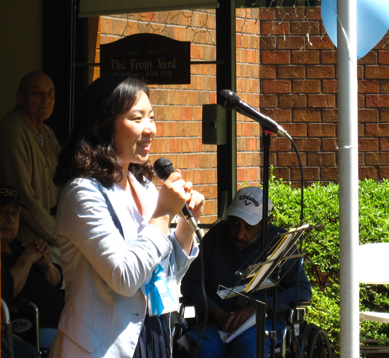 EnoB held an outreach concert at DeWitt Rehabilitation & Nursing Center, a nursing home serving low-income and medically at-risk seniors, on May 24th. 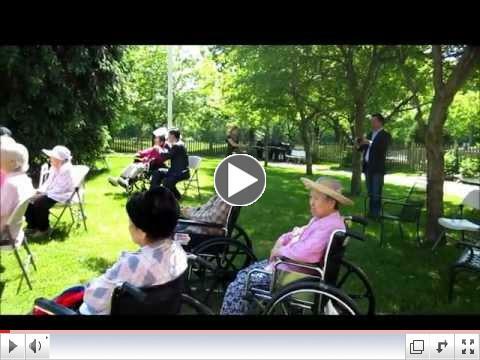 Through the concert, EnoB helped lessen the isolation and loneliness of DeWitt residents. 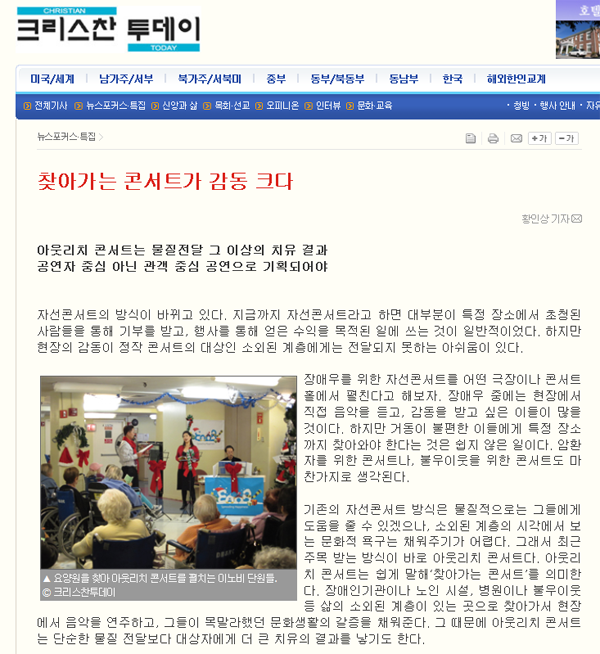 It was supported by Dashing Diva/KMC EXIM CORP, Eun-Ju Ryu, KyungHo Park. 5 월 26일 토요일 오후 두시, 한국에서도 이노비의 찾아가는 음악회가 첫 선을 보였습니다. 이 번 공연은 전라남도 완도읍에 소재한 완도 문화 예술의 전당에서 사단법인 행복한 쉼터, 다문화 가정지원 센터, 이노비의 주최 하에 다문화 가족과 청소년들을 위한 무료 음악회로 진행되었습니다. 더 자세한 소식은 다음달 이노진을 기대해주세요. EnoB held an outreach concert for multicultural families at Wando Cultural Arts Center in Wando on May 26th. 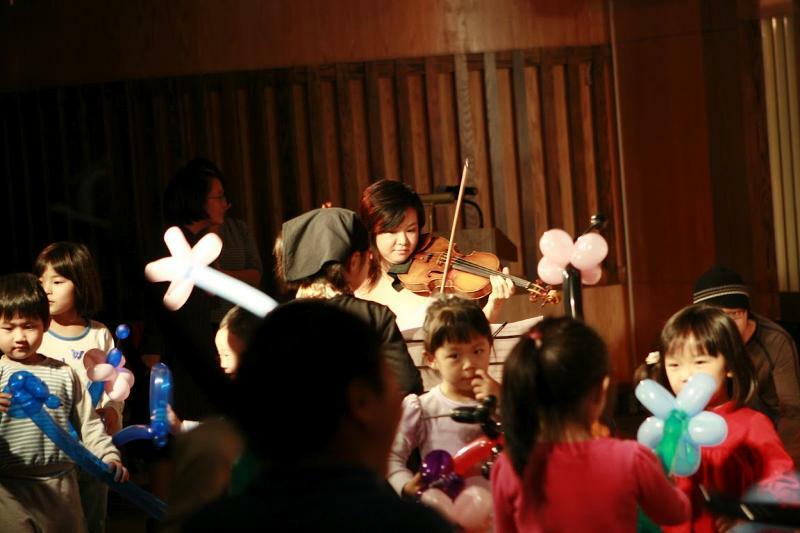 It was the first outreach concert in Korea and co-hosted by Happiness Shelter, Center for multi-cultural families, and EnoB. 이노비의 신문기사를 보실 수 있습니다. 아웃리치 콘서트를 다룬 크리스찬 투데이 기사에 이노비의 사례가 중점적으로 소개 되었습니다. 오른쪽 기사를 클릭해 확인 하세요! 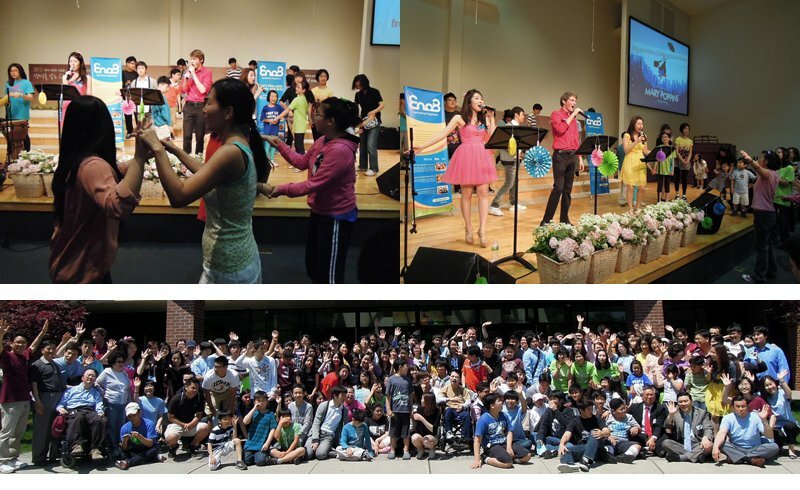 EnoB was introduced by the Christian Today as a representative organization which holds outreach concerts. Click the image to view the article. 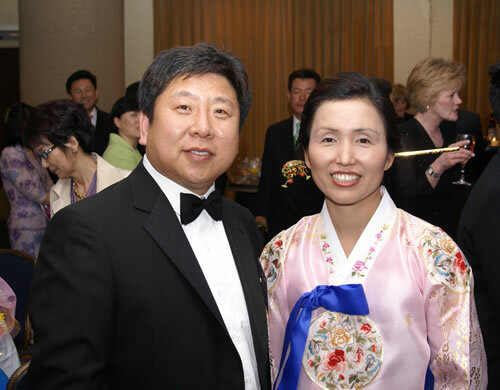 이노비의 오랜 후원자이신 J&A 의 김윤호 사장님을 소개합니다. 저 희 이노비의 아웃리치 프로그램 중 특수교육이 필요한 아동을 대상으로 하는 프로그램은 자원봉사자 중심으로 진행됨에도 불구하고 진행비가 많이 듭니다. 지난 몇년간 이노비가 행사비가 모자라 어려움을 겪고 있을때마다 김윤호 후원자님께서 매번 큰 후원금을 쾌척해 주셨기에 저희가 매년 어린이들에게 찾아가는 음악회를 지속적으로 할 수 있었습니다. 실질적 도움을 필요로 하는 분들을 위해 현장에서 항상 열심히 일하고 있는 이노비의 열정을 높게 사주시고 장애인등의 소외된이를 위해서 열심히 일하는 따뜻한 마음이 아름답다고 격려해주시는 김윤호 후원자님. 물질은 채울때도 좋지만 나눌때가 더 기분이 좋다고 말씀하시면서 모든 것은 항상 시작이 중요하다고 덧붙이시고 이노비도 시작하는 소중한 마음을 잊지 않고 작은 것부터 조금씩 이뤄나가길 바란다고 따뜻한 조언의 말씀을 해주십니다. 성공적인 사업체 운영에 바쁘신 와중에도 명상과 독서로 마음을 풍요롭게 하시는 시간을 중요하게 생각하시고 지혜를 길러나가시는 후원자님께서는 재단을 통해 이노비 이외에도 여러 많은 단체를 후원하고 계십니다. 앞으로 저희가 시작할때의 소중한 마음을 잊지않고 더욱더 열심히 세상으로 행복을 전하는 모습을 지켜봐주시고 격려해 주시기를 부탁드리며 다시 한번 감사 인사 드립니다! 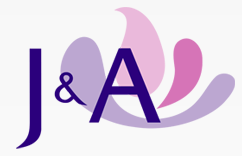 We are proud to introduce a valuable donor, Yoon Ho Kim from J&A. Our program for children with special needs is supported by volunteers. However, EnoB still relies on the financial support of donors. For past years, whenever there was a need, Mr. Kim never hesitated to help us continue to create and grow programs every day. Mr.Kim has great respect for EnoB's passion and the commitment of every member of the hardworking staff. In life, he believes that it is always better to share what one has and to take everything one step at a time. His wise words help drive EnoB's work every day, giving strength and encouragement. His easy and composed attitude makes him a delightful person to be around. Support like Mr. Kim's helps us move forward in our mission to spread happiness. EnoB is grateful for the continued support of Mr. Kim. 세계적인 바이올리니스트 이자 이노비 아티스트인 주디 강 Judy Kang이 첫 번째 앨범을 곧 선보입니다. 2006년부터 다수의 이노비 아웃리치 콘서트에 함께했던 주디 강의 앨범에 여러분의 많은 성원을 바랍니다. 토론토에서 태어난 주디 강은 4살에 바이올린을 시작하여 여러 번의 세계 투어를 했습니다. 열한 살에 명문 커티스 음악원 전액 장학생으로 입학하여 17살에 최연소 졸업자로 주목을 받았고, 19세에 줄리아드 음대 석사학위를 받고, 이후 맨해튼 음대에서 아티스트 학위를 받았습니다. 그녀는 닐슨 콩쿠르, 나움버그 바이올린 국제 콩쿠르 등에서 여러 차례 우승하였으며, 정경화, 레이디 가가, 류이치 사카모토 등 세계 최고의 음악인들과 함께 공연하였습니다. 그리고 그녀의 밴드 'The Simple Machines'와 같이 그녀는 팝, 입디, 힙합, 실험음악에도 관심을 보이는 다재다능한 아티스트입니다. 주디 강은 1689년 제작된 명품 바이올린 '바움가트너 스트라디바리'를 연주하고 있습니다. Judy Kang, who was born in Toronto, is one of the most talented violinists of this generation. She started her music career at age 4 and since then, has toured around the globe several times. At age 11, she was accepted to the prestigious Curtis Institute of Music with a full scholarship, and at age 17, became the youngest graduate with Bachelors Degree in Music. She graduated with a Masters Degree from the Juilliard School, and finally, successfully graduated with the Artist Diploma from the Manhattan School of Music. She has won many competitions such as the Grand-Prize of the Canadian Music Competition, the Nielsen, Dong-A, Kreisler, and Naumburg International Violin Competitions. She has collaborated with many notable musicians such as Lady Gaga, Kyung-Wha Chung, Ryuichi Sakamoto and more. Furthermore, she has shown her interests in popular, indie, hiphop, and experimental music as well through her band 'The Simple Machines.' Judy Kang was awarded and currently performs with her violin the 1689 "Baumgartner" Stradivarius, on generous loan from the Canada Council for the Arts through an anonymous donor. EnoB: How did you feel when you performed with us? Any special moments or memories while performing for children or patients with us? Judy : It gave me great joy and touched my heart to play for the wonderful children and to see the smiles on their faces when we played music for them! I was so moved that EnoB was launched to bring music and wonderful memories to the kids as well as for myself. I remember the kids coming up to us as we played and dancing around. As I was playing, I was so moved close to tears and thought to myself, 'This is what it's about'. Music connects hearts and souls together and we were all experiencing something so beautiful together! 이노비에 없어서는 안될 만능 스탭 양매화 PR 매니저를 소개합니다. 양 매니저는 경원대학교 신문방송학과를 졸업하고 한국임상학회에서 오랜시간 근무하다가 뉴욕에서 이노비 베네핏 콘서트에 볼룬티어로 참석하셨던 인연으로 EnoB 스탭으로 근무하시게 되었습니다. 바리스타 자격증을 가지고 있고, 노래만 빼고 모든 것을 다 잘하는 양매화 매니저는 지금껏 이노비에 큰 힘이 되어 주고 있습니다. 선한 마음과 미소가득한 얼굴로 이노비 사무실을 환하게 밝혀주는 양매화 매니저, 앞으로도 이노비를 위해 열심히 달려주세요! 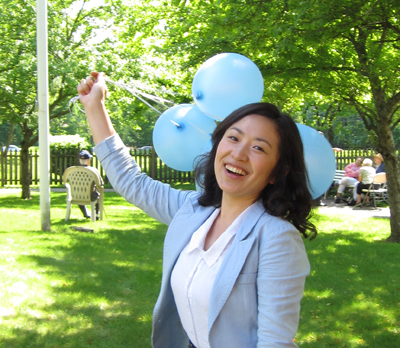 We'd liked to introduce Maewha Yang, EnoB's PR Manager. Ms Yang is such a well-rounded young woman, capable of doing anything in our office. We sometimes ask her if there is anything she cannot do, to which she cheerfully replies "just singing." She graduated from Kyungwon University, majoring in Journalism, and worked for Korea Society of Clinical Oncology for several years. She's even a certified barista in Korea. She has a big warm heart and is a great asset for EnoB office. Please keep spreading happiness to all of us! 이노비의 새로운 인턴 박은경양을 소개합니다! 박은경님은 한국에서 이화여대 영문학과를 졸업하고, 곧 Boston University 대학원에 진학합니다. 대학원 입학을 앞두고 의미있는 일에 참여하고 싶어 뉴욕에서 지내며 이노비 인턴으로 활동 중에 있습니다. 오른쪽 인터뷰 동영상을 클릭하셔서 박은경님을 만나보세요! 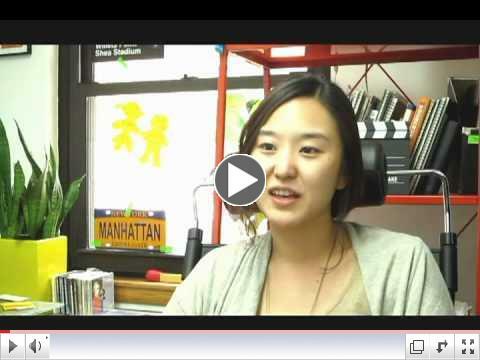 We introduce EnoB's new intern, Eungkyung Park! Ms. Park holds a Bachelor of Arts in English Language and Literature from Ewha Womans University. She is working for EnoB because she would like to participate in a meaningful task before attending graduate school at Boston University. Shall we listen to her story? Click the image to play the interview video. 이노비 홈페이지를 이제 한글로도 만나보실 수 있습니다! 이노비가 어떤 일을 해왔는지, 이노비에 참여하고 있는 사람이 누구인지 등 홈페이지를 통해 자세히 알아보실 수 있습니다. 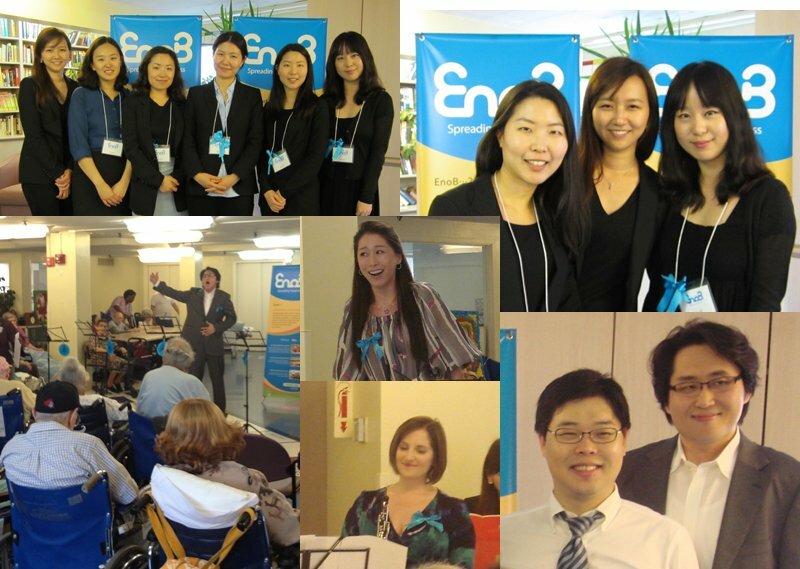 EnoB has started a Korean service on our website. Now, you can access our website in Korean. 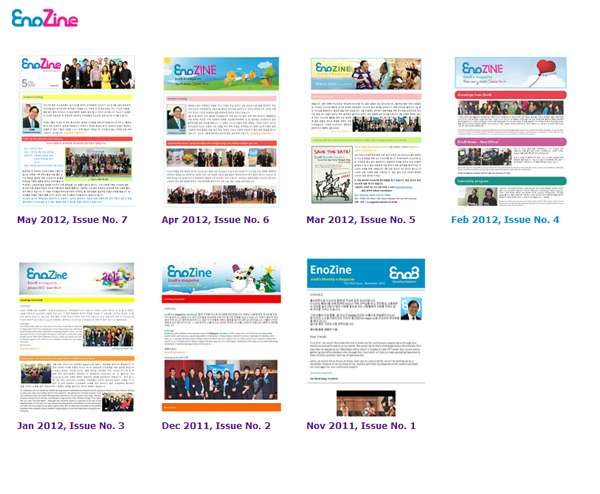 You can see what EnoB is doing, who is involved in EnoB, and additional information in there. Click and look at the website. 아래 로고를 클릭하면 한글 홈페이지로 이동합니다. 이 노비의 2012년 두 번째 benefit concert가 오는 9월에 열릴 예정입니다. 지난 3월 31일에는 jazz pianist 송영주씨와 친구분들의 멋진 재즈 공연이 있었지요. 다가오는 9월에도 이노비를 응원해주시는 많은 EnoBian들을 모실 수 있도록 많은 준비 중에 있습니다. 기대와 성원 부탁드립니다. EnoB plans to hold the second benefit concert in September this year. 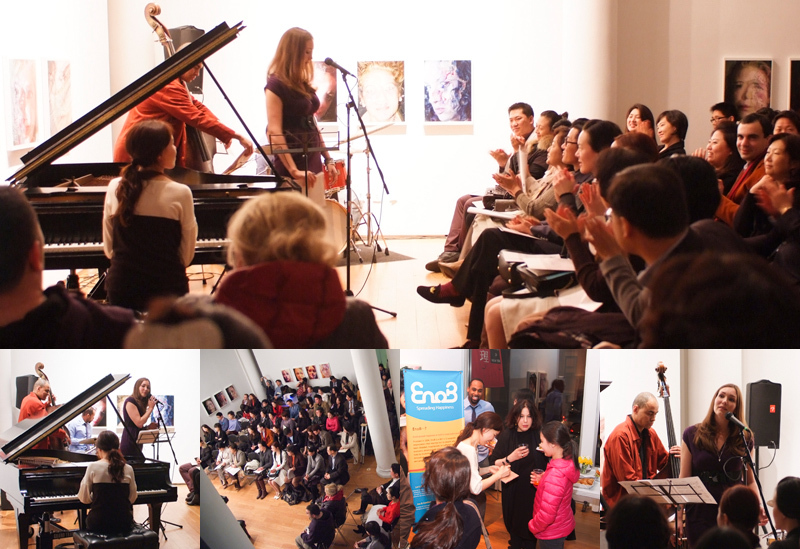 The first benefit concert was held on March 31st with a special jazz performance by jazz pianist Youngjoo Song and her friends.. We are preparing the concert to invite many EnoBians. So please stay tuned for updated news for our September Benefit Concert. 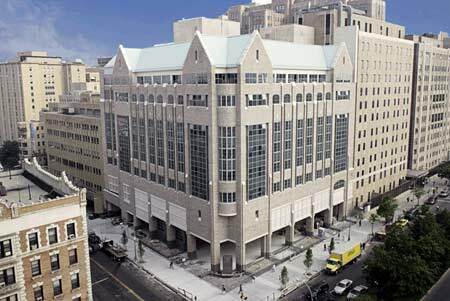 New York Presbyterian Morgan Stanley Children's Hospital is one of the top-rated facilities in the country in pediatric medicine and surgery. 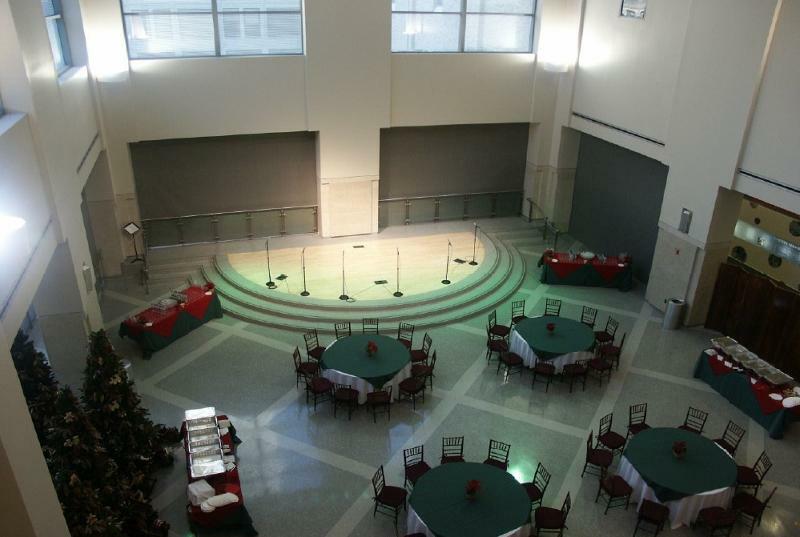 EnoB's outreach concert will brighten hospital stay for patients and families by providing respite from their illnesses as they experience the pleasure of the performing arts, and it will be the first step in building a long-term relationship between Columbia University Medical Center and EnoB. 지난 4월 29일, 솔리스티 앙상블의 성공적인 카네기홀 데뷔 공연이 있었습니다. 2008 년 창단된 솔리스티 앙상블은 11개의 현악기로 구성된 앙상블로, 2011년 이노비 후원을 위한 음악회도 열어주셨지요. 카네기홀의 Zankel Hall에서 열린 이번 연주회는600여석의 좌석이 가득 메워진 가운데 관객들의 뜨거운 박수를 받으며 성황리에 막을 내렸습니다. 뿐만 아니라, 솔리스티 앙상블은 이번 공연 수익의 일부를 이노비에 후원해 주셨습니다. 아름다운 음악을 연주할 뿐만 아니라 지속적으로 음악을 여러 사람에게 나누는 일에도 앞장서 주시는 멋진 솔리스티 앙상블에 큰 박수를 보냅니다! On April 29th, Solisti Ensemble held a successful debut concert at the Carnegie Hall. The 11-piece string ensemble was founded in 2008 by violinist Byun-Kook Kwak, Solisti Ensemble celebrates its fifth anniversary this 2011-2012 season. Based in New York, the group consists of active soloists and chamber musicians dedicated to performing concerts of the highest quality while reviving the traditions of small-ensemble chamber music. Furthermore, a portion of the proceeds from the concert were donated to EnoB. 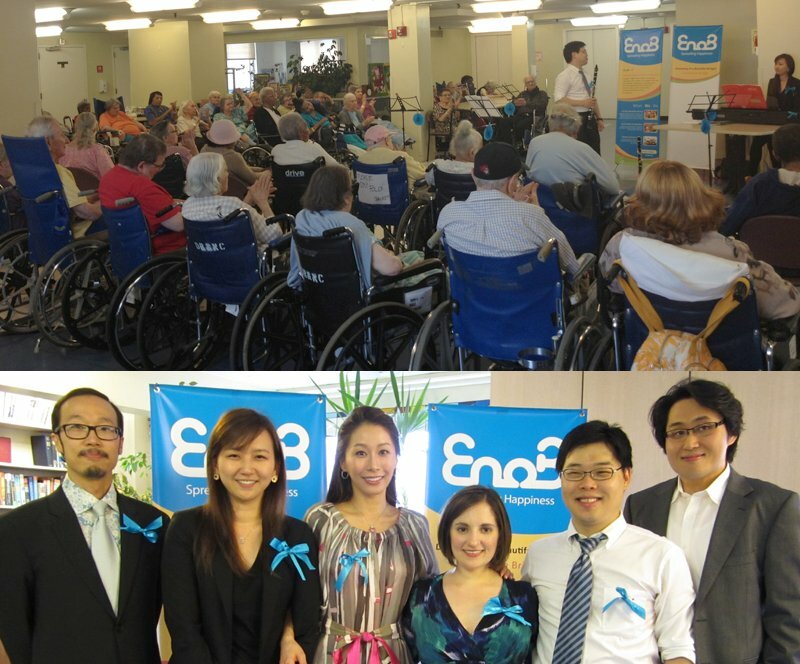 They also held a benefit concert for EnoB in 2011. We applaud their talent and generosity! 이노비의 예쁜 머그컵을 구매하시면 수익이 전액 이노비의 행복을 전하는 활동에 기부됩니다. 주문은 이메일(enobinc@gmail.com) 또는 전화(212-239-4438)로 해주세요! 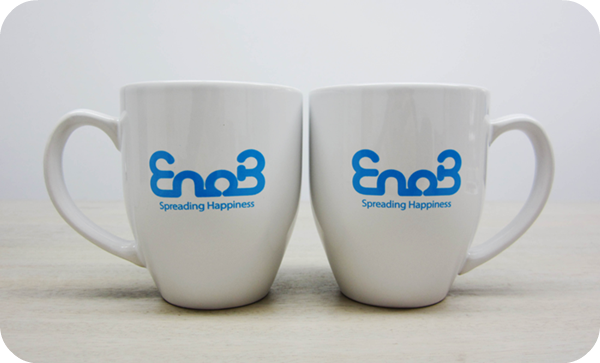 Get this pretty EnoB's Mug! 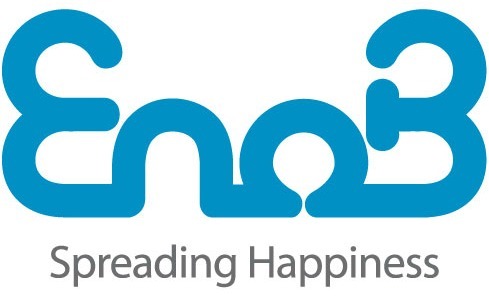 All the profits will be donated to EnoB which spreads happiness. Please order a mug through enobinc@gmail.com or 212-239-4438. Thanks! 이노비에서는 인턴과 자원봉사자를 수시로 모집하고 있습니다. 문의는 212-239-4438과 enobinc@gmail.com으로 해주세요.